Consumer advocates say Americans are under siege by advertisers, and that the problem is more serious than just irritating dinnertime phone calls or endless ads during movie previews and commercial names for sports stadiums. The advocates blame increasingly intrusive advertising for such societal ills as childhood obesity, rising health-care costs and lost productivity because workplace e-mail boxes are clogged by unsolicited emails, known as spam. Public outcry has resulted in a national do-not-call list aimed at curbing telemarketing and may soon trigger a do-not-e-mail list to deter spammers. 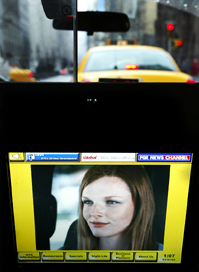 Other advertising critics are seeking greater restrictions on advertising to children. Advertisers and some advocacy groups, however, warn that many of the proposed restrictions violate First Amendment protections for free speech.